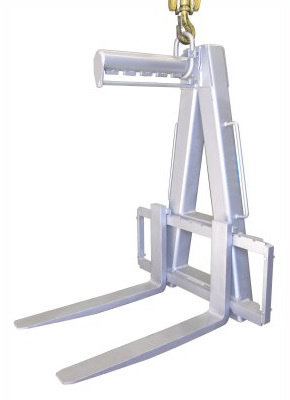 A heavy capacity pallet hook for loads up to 4500kg. Fully adjustable tines makes this unit extremely versatile. 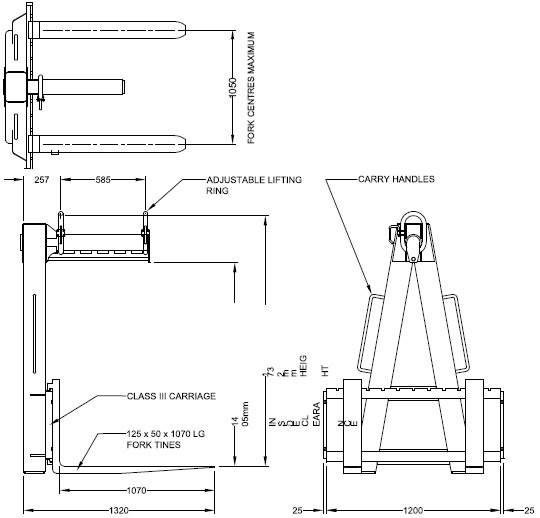 A heavy capacity pallet hook for loads up to 4500kg. Fully adjustable tines makes this unit extremely versatile. Load balancing is carried out by positioning the lifting ring to suit the Centre of Gravity of the load.